Employees at the $473M Honor Credit Union read books to school children March 18 to celebrate an annual event that promotes learning. 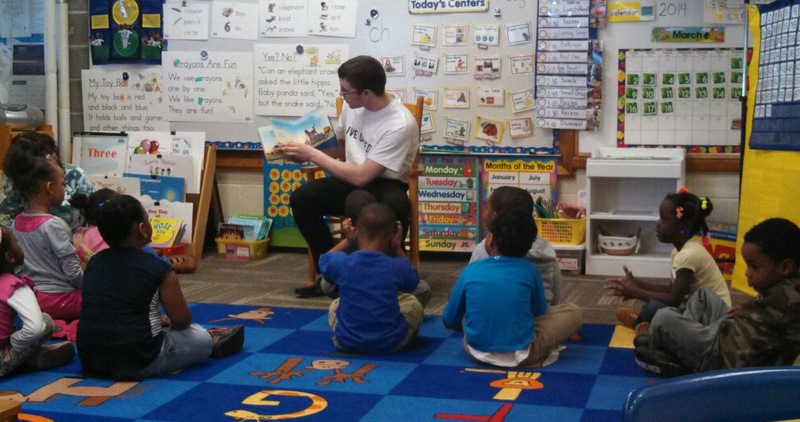 Patrick Swem, Benton Harbor branch manager, reads to school children March 18 to celebrate this year's Reading Day of Action. Employees at the $473 million Honor Credit Union joined more than 150 volunteers on March 18 to read books to students in more than 300 classrooms. United Way of Southwest Michigan’s Reading Day of Action 2014 was sponsored by the St. Joseph, Mich.-based cooperative. HCU said in a release the event is in line with its focus on youth development and education.